Save email attachments to a folder on your computer or network using the FileChimp Auto save feature. 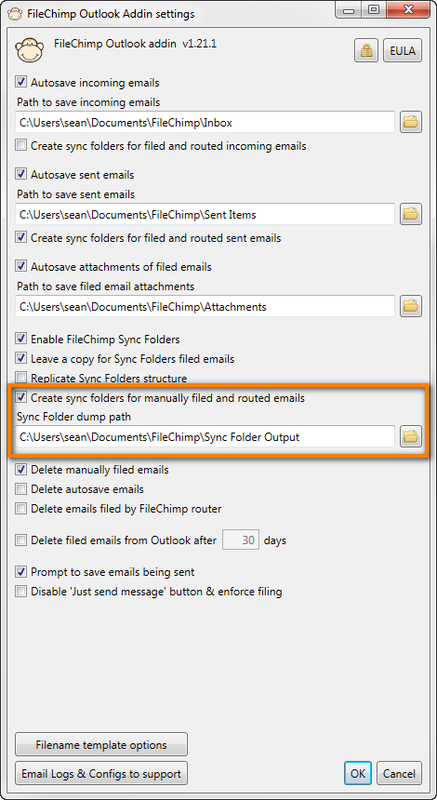 FileChimp makes it easy to save email attachments to a specified folder. You can enable this in the FileChimp Outlook addin settings. Locate the cog icon on the Outlook ribbon menu and enable the setting by placing a check in the check box. Once enabled browse to assign a destination folder where all email attachments will be auto saved. Each email that arrives with an attachment will be processed and the attached email will be saved to the specified folder automatically.